A short distance away from AEON Maluri (previously known as Jusco) is this territory named Pudu Ulu almost uncharted by yours truly aside from passing by while on the way Pandan Indah last time. If you know where Menara PGRM and Petronas station at the crossroad traffic lights are, then you are on the right track. 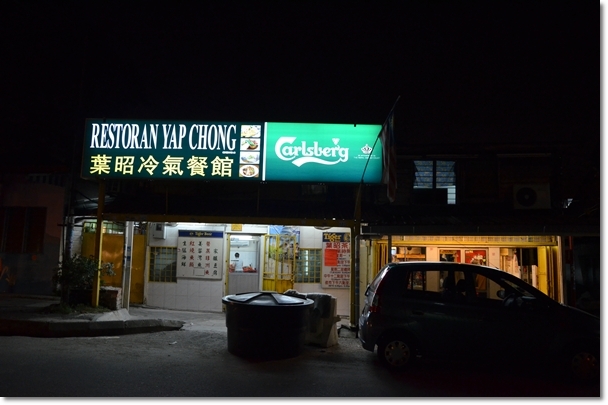 Yap Chong Restaurant is one of the few highlights along this road named Jalan Pudu Ulu; housed in an almost shack-like environment built under zinc roof, yet with air-conditioning and spanning at least 3 shop lots on your RIGHT if you are coming in from Menara PGRM’s direction. Their specialty? Hakka cuisine at its best and most humble. 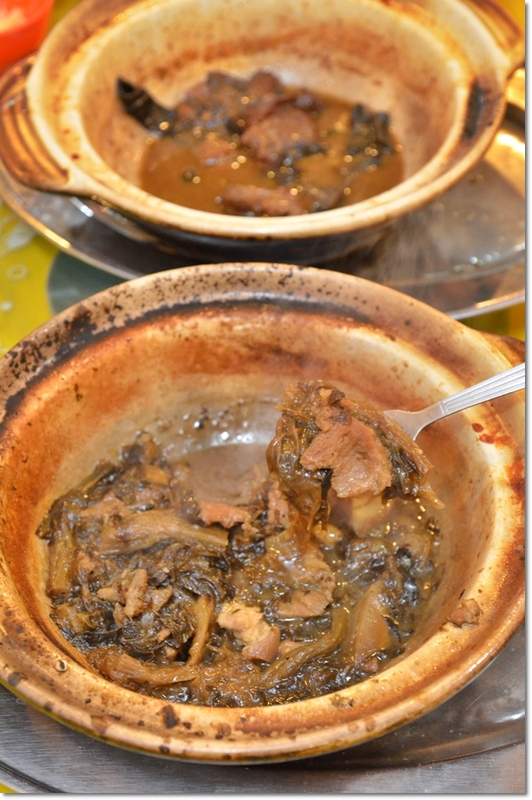 Think various porky dishes presented in no holds-barred manner; cooked in a claypot and placed on an aluminium platter. If you are pushing your luck by visiting on a weekend evening during peak dinner hours, then tough luck. You would most probably be in for a test of patience. The main premise can barely house more than ten tables, with sparringly-arranged make-shift tables on the walkway (spanning a little less than 6 feet, IMO), and crossing over to the extended lot next door that looked more like a proper diner for banquet dinners than a casual one. Nevertheless, don’t chicken out. The prices here are more than digestible, even to the extent of being very reasonable. This is … Pudu Ulu in Kuala Lumpur after all; and let’s hope they keep inflation (and GST??) at bay for as long as they can. The rest of the dishes you can trust the good old captain to fill the gaps. Like in our case, being there after 9pm resulted in us missing the Stewed Pork Belly and Yam (‘Woo Tau Kau Yuk’), instead replaced by the sweetish Mui Choy Chu Yoke (Pork with Preserved Vegetables in Claypot). 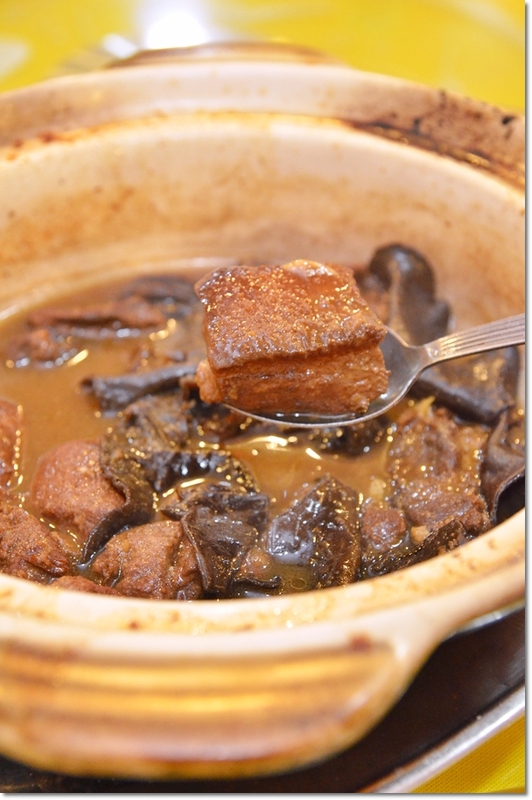 Truthfully, the Hakka Char Yoke (pork marinated with fermented bean curd aka ‘nam yue’ then cooked in claypot with black fungus) was the BEST that I have ever tasted so far. Seriously. 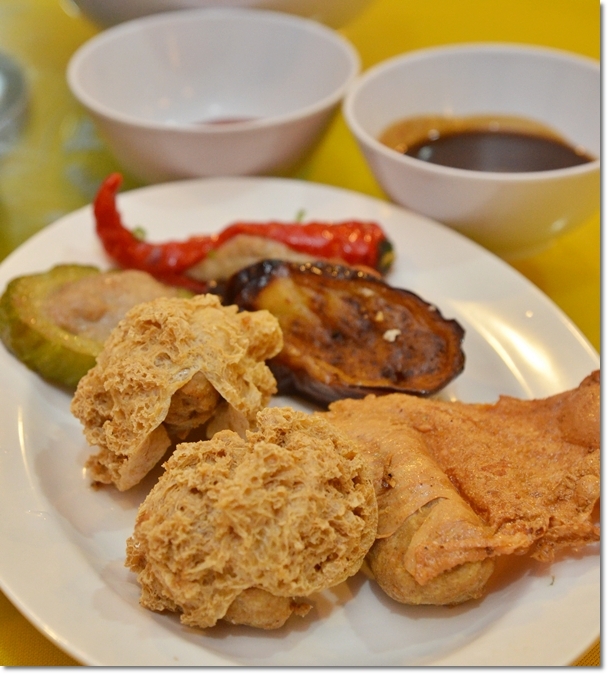 Usually, the conventional make-believes Char Yoke would be either sourish, or overpowered by the aroma and taste of the ‘nam yue’. Worse is when they use very lean pork that calls for a change in dentures if you are wearing one. But Yap Chong did theirs so well. 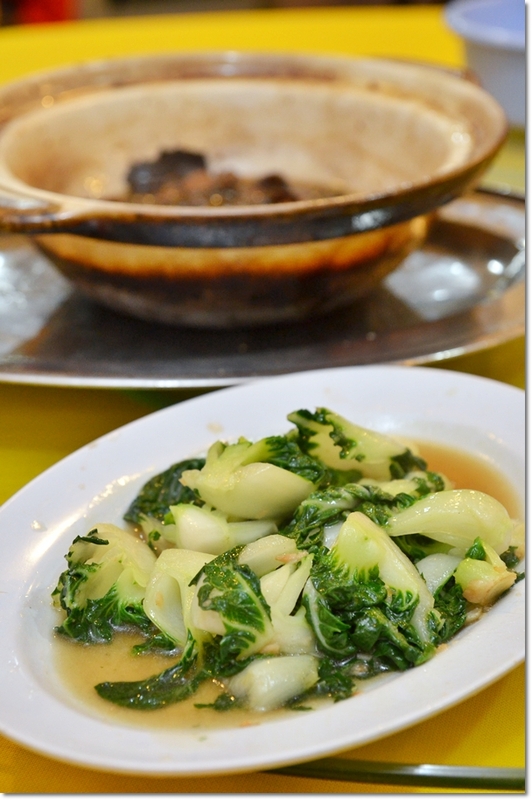 The dish stole the limelight from the Mui Choy pork in my opinion, while the selection of Yong Tau Foo (each piece at RM1.10) was delectable yet a notch below some of the better ones in the Klang Valley. A brand that has stood some serious tests of time. 47 years and running strong towards the half a century’s mark. Let’s hope that good establishments like this won’t fade to obscurity. There’s another famous Hakka restaurant along the same road, named Chan Kee though the signboard did not catch our attention that evening. Maybe they have moved? I think the chan kee you meant is chuen kee. Green signboard, just a few stores away. Its still around. You may try their ‘Yip Chi Mei’ Tofu if you are early, as it sold out very fast. Original fresh steamed tofu with it’s big size…you know what I mean. Oh really? I have to try that! Yap Chong was crowded that evening, and the food was not too shabby either. Maybe there ain’t no comparison to be made, as the last Hakka meal I had was at Paramount Garden’s … which was mediocre actually. i think Chuan Kee’s food quality is equally good. And the ambience also slightly better compare to yap chong.